Selfie: My summer hair is dry and looks damaged at the ends. Necklace by Essie Collection. Contact Esther@essiecollection.com for more details. The summer weather can wreak havoc on your hair! Mine was so damaged between excessive washing, highlights, heat styling and the sun so I decided to try an array of hair care products to see if it could be revived. The products that made the cut are listed below and will help restore, mend split ends and add shine to your locks. Some are pricey but they make a dramatic difference! In New York with hair color genius Steve Amendola of the John Frieda Salon. In addition to adding some low lights and a gloss, Steve used the Kerastase Concentre Oleo-Fusion Intensive Nutrition Treatment on my hair to deep condition it. This treatment by Kerastase is prepared in individual use bottles. It is used in top salons to treat dry, brittle and sensitised hair. You can buy this incredible 5-minute treatment in bulk and use at home every two weeks. I have a thing for the drybar products because not only do they work well, but they smell AMAZING! The shampoo suds up nicely and moisturizes your hair while getting it squeaky clean at the same time. It's also loaded with anti oxidants and is sulfate and paraben free. I have been a huge fan of all MoroccanOil hair products for years now and the leave-in hydrating cream is my go-to styling product. When applied to damp, freshly washed hair (concentrating on the ends), this cream will protect it from heat-styling tools and control frizz. And, it's packaged in a convenient pump bottle so it's easy to control the amount needed. All products are made with argan oil and have an incredible fragrance. Living Proof's products strengthen hair and break the cycle of damage by using silicone and oil-free solutions. I'm loving this award-winning, weightless conditioner and notice how each time I use it, the condition of my hair improves. Jennifer Aniston is the spokesperson and an investor in the Cambridge-based hair company so you know it's really top notch. All products are perfect to use on colored and chemically treated hair. Another favorite product is an ultra-light, multi-functional styling and treatment oil from ECRU that provides deep conditioning and moisture for the hair. It protects against heat damage, reduces drying time, eliminates frizz, and helps to mend split ends. I also like to use a tiny bit on my hair AFTER styling to tame fly-aways and smooth out frayed ends. This eco-friendly, 100% vegan leave-in spray is made with argan and olive oil. It repairs dry and damaged hair with rice amino acids and vegetable based moisturizers. After using this treatment, my hair feels silky and and looks shinier. It really helps to prevent breakage and split ends. 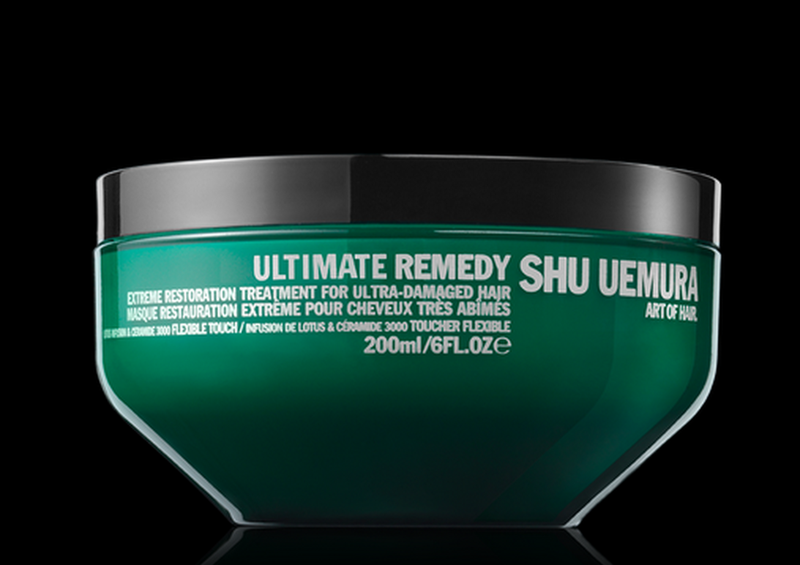 The caviar of hair treatments, Shu Uemura, developed an extreme restoration treatment for ultra-damaged hair. This decadent, flowery-scented mask recovers the strength of the hair fiber from within and is so nourishing that it leaves hair with a soft flexible feel. Remember the feeling of virgin hair? This single product changed my hair from feeling like straw to feeling like silk after a few treatments. This budget-friendly hair restoration mask by L'Oreal is made with a 6 flower oil blend and is a great treatment for conditioning extremely, dry damaged hair. I like to coat my hair with it before and after I go for a swim to prevent further hair damage from chlorine and salt water. It truly works wonders and the price is right!